This book describes how computers have influenced various aspects of my life, from the early days when we had a BBC Micro, to the present day, when I have a much more powerful laptop. I am particularly keen to point out that people with mental health issues could and should use computers to enhance their work and life experiences. They can really improve their ideas and standards. I am certainly not a computer expert but I have studied a lot of computer courses, over the years, mostly at Further Education College. The book describes these courses and how they have helped me. I point out that when I was at Secondary School, in the 1980s, computers were very few in number. Things are different now because every school has lots of computers. My perspective on the development and the wide variety of uses of computers is covered, together with my ideas for the future. I have covered Facebook, photography and many other applications. This book is very much a personal viewpoint which explains my own point of view and my own ideas. I have also mentioned my thoughts and ideas for the future of the computing world. 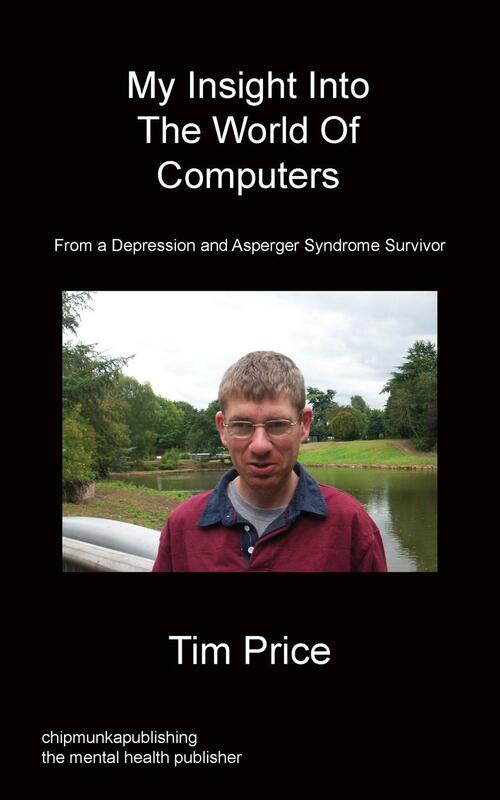 Tim later discovered, with the help of Dr Lorna Wing, that he had Asperger’s Syndrome. This was early in 1994. Tim has used computers for many years now and he has found them a very useful aid to his writing and learning. 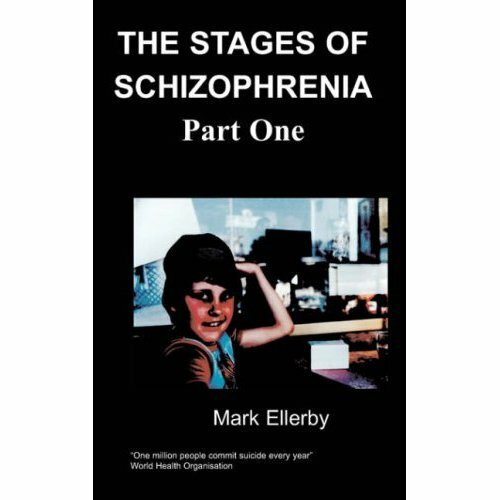 He has already had one book published by Chipmunka called “How To Improve Mental Health” which describes the practical activities that he has achieved, since he began to get better. Tim is normally a positive, happy person and he joins in activities whenever he can. Having his own computer helps him to improve his standards. This book gives an insight into computers that I have used over the years and my thoughts about the future. People with mental health issues like depression and other mental health problems sometime are a little bit frightened of computers but many can have very good computer skills, like me. This book is based on my knowledge of how I learnt how to use a computer for the first time in my life and as an insight into the world of computing as my improving knowledge of using a computer improves every year. I do a computer qualification at South Cheshire College. Students sometimes go to university to study computers or work with computers every day of the week and also use computers in information communication technology and specialise in the computing world and are very successful. When I was younger I first started with a computer for Christmas it was a BBC 32 k from Acorn. It was a very good computer to learn the computer language of basic which a computer can properly understand. We all learned a lot from the BBC Micro which set the pattern for the future and we seem to be returning to that kind of idea with the Government’s new plans. Since then I have used computers a lot, particularly to write, using word processing, mainly Word, letters and recently my books. This has helped me a lot with my life by making things easier to achieve. During the last few years I have used the internet for various reasons, including web sites, e-mail and Facebook. Facebook has enabled me to find my friends from my school days again. In the future I hope to use Facebook to help to organise a school re-union. I have also been able to keep in touch with my cousin Janette, her husband Chris and their daughter Rebecca who now live in Nova Scotia, Canada. My Aunty Jean speaks to them using Skype. I have not used it yet but I hope to in the future.